choose from. It can be a little overwhelming to look at them all at once so let’s take it one step at a time. 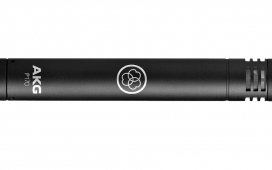 For now, we will just look at one microphone – the AKG Perception 170 Instrumental Microphone. This in-depth look will show you the good and the bad, allowing you to decide if it’s the perfect mic for you. 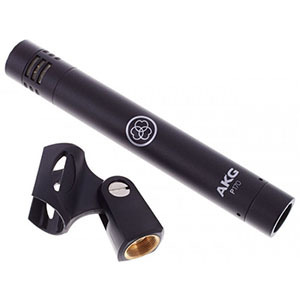 The AKG 170 Instrumental Microphone is a ½ inch small diaphragm instrument microphone. As such, it is made for capturing instruments rather than voices. To be more specific, the AKG 170 instrumental microphone is a cardioid pencil condenser microphone. The design actually follows closely to the discontinued AKG Perception 170 Instrumental Microphone. One of the biggest changes is the capsule vent size and shape. While to the untrained eye this may seem a trivial and inconsequential change, it really isn’t. Instead, it has an effect on the high-frequency response of the microphones even though they have an identical response graph. picks up sound and reports it back with amazing clarity and transient response. 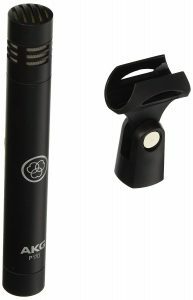 The AKG 170 Instrumental Microphone also has a rugged, all metal body. This makes it so that it can handle daily use without breaking down. 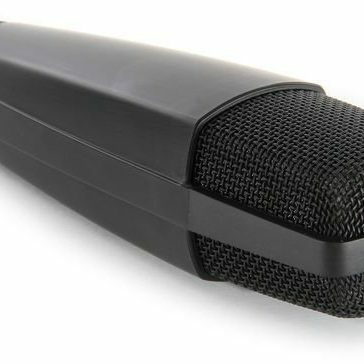 Even if it takes a bit of a hit, this microphone won’t crumple like paper at the first sign of potential damage. This makes it perfect for taking on the road as it won’t fail if it falls or takes a bump. In addition to sound quality, though, the fact that this is a condenser microphone has another effect. 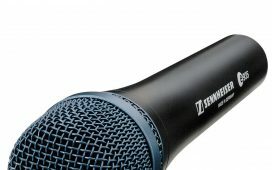 All condenser mics need a power source – be that batteries or a phantom power source. The AKG 170 Instrumental Microphone in particular requires a phantom power source. However, all condenser mics are compact in size. At 160 mm (6.3 inches) in height and 22 mm (0.9 inches) in diameter and only 130 g (4.6 ounces) the AKG 170 Instrumental Microphone doesn’t stray from this trend. 160 mm (6.3 inches) in height and 22 mm (0.9 inches) in diameter, so it is relatively small in size. Weight of 130 g (4.6 ounces), so it is relatively lightweight. A wide audio frequency of 20 – 20000 Hz which allows for low and high pitched sounds to be captured without a problem. All metal body helps it to stand up to day to day abuse and accidents without breaking or getting damaged. Switchable attenuation pad for high SPL applications up to 155 decibels SPL. Phantom power source needed to use this microphone. 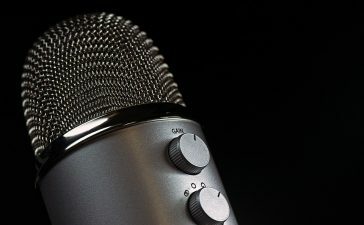 Cardioid design makes the AKG 170 Instrumental Microphone sensitive to the sounds presented directly in front of it and less sensitive to the sounds behind and off to the side of it. This helps to filter out ambient noises and pick up the delicate noises right in front of the mic. Thanks to the cardioid design, this type of microphone won’t be as sensitive to feedback either. 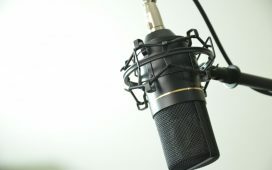 Condenser style microphone makes for a high range of frequencies and a small design. Another important consideration in a microphone of any kind is sound quality. We have already been over the fact that this is a microphone with a condenser transducer diaphragm. But what is a condenser transducer diaphragm? A condenser transducer microphone is based on an electrically charged diaphragm and backplate assembly. This forms a sound sensitive capacitor. When the space between the diaphragm and backplate is charged, it produces an electrical signal. The variation in spacing produces the type of sound that plays back. A condenser microphone has a couple design advantages. 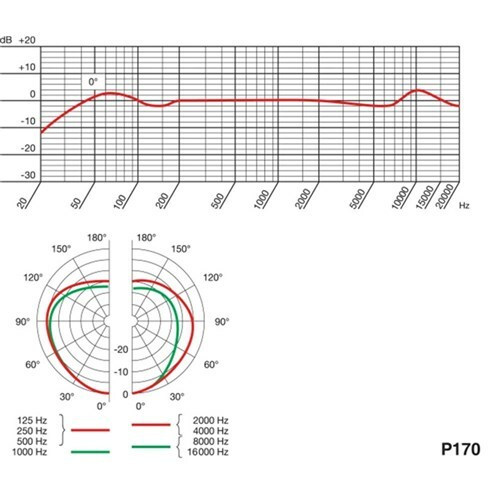 When it comes to sound quality, though, it is easy to get a flat frequency response and extended frequency ranges. 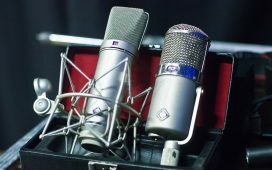 However, there is a limit to the maximum signal level that these mics can handle and cheaper models tend to produce a small amount of noise. The noise, though, isn’t a reported problem with the AKG 170 Instrumental Microphone. This microphone also has a cardioid pickup pattern. 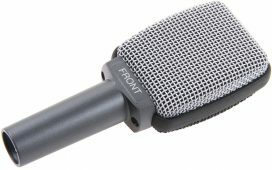 This means that it has the most sensitivity to the front of the microphone and the least sensitivity in the back of the microphone. This means a couple things. First, it is more resistant to feedback than omnidirectional microphones, meaning you won’t have nearly as much trouble positioning it around speakers. In addition, it is less likely to pick up the noises around it that you don’t want in it, just those directly in front of the microphone. This makes it perfect for loud environments such as stage performances. The overall ease of use in this microphone is outstanding. The AKG 170 Instrumental Microphone is simple enough to set up and even easier to use once it is set up. It also comes with a microphone clip, so you can easily get it set up and ready to go. Thanks to the cardioid design, it’ll simply pick up whatever is in front of it and filter out ambient sounds for you. 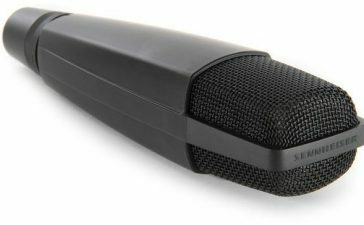 With little to no filtering, this microphone is made to pick up detailed sounds such as string instruments. So, you won’t need to worry about filtering audio to get the sound that you need. Rugged, metal body is sturdy and holds up to day-to-day abuse. Overall, the AKG 170 Instrumental makes for an excellent instrumental microphone. It has a high range of frequency response making for quality sound and a lightweight and compact design.